Come and experience the highlife in Cheshire, with it’s delightful scenery, cultural and industrial heritage and fabulous days out. Chester itself is arguably the richest city in Britain for archaeological and architectural treasures preserved to this day from the time of the Roman Occupation. Discover this fabulous blend of classic and contemporary England with it’s elegant streets, absorbing museums and delightful riverside cafes. It’s easy to get carried away on the Anderton Boat Lift, an incredible edifice perched on the banks of the River Weaver like a giant iron spider. Built by Edwin Clark in 1875, it was designed to lift cargo boats 50 feet from the River Weaver up to the Trent & Mersey Canal and now offers visitors the chance to enjoy this uplifting experience. Opulent Tatton Hall and Gardens, considered one of Britain’s most complete historic estates, has won countless tourism awards and welcomes over 800,000 visitors a year. Explore this stunning 19th Century mansion set in beautiful parkland with 50 acres of award-winning gardens, and lots more. 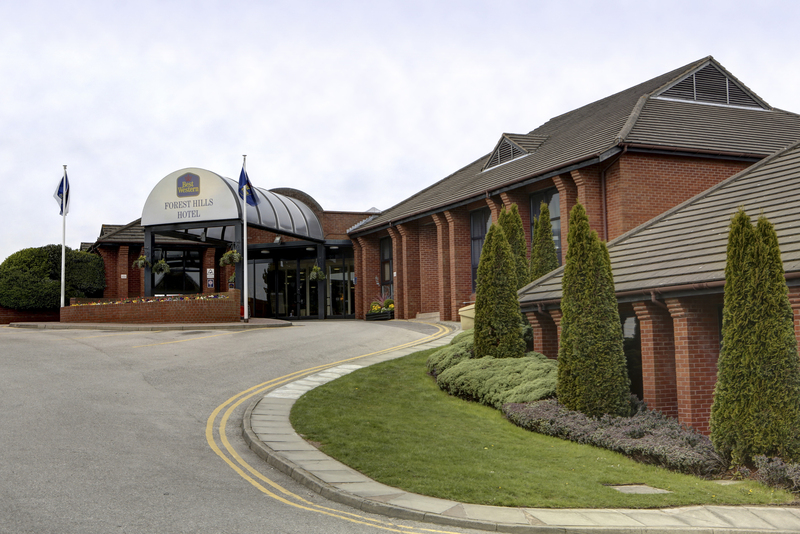 Located amidst the beautiful Cheshire countryside which offers stunning panoramic views across the plains and Mersey estuary, The Best Western Forest Hills is an excellent base to explore the delightful nearby attractions. All rooms are modern and comfortable and offer tea/coffee making facilities, safe, TV with Freeview, clock, telephone, hairdryer, complimentary toiletries and heated towel rail. Hotel facilities include a swimming pool and gymnasium. DAY 1 – We head north to Cheshire and our hotel for the holiday to Frodsham, the Best Western Forest Hills. DAY 2 – Today we visit the fabulous city of Chester, a classic, contemporary city bursting with must see treasures, 2000 years of history and spectacular shopping. DAY 3 – This morning we head to the amazing engineering feat, the Anderton Boat Lift, which was built in 1875. We take a cruise along the river Weaver then into the lift, which lifts us in the boat up the 50 feet to the Trent & Mersey Canal. From here we visit the Georgian town of Nantwich, which has the most historic buildings outside Cheshire in the county. DAY 4 – Today’s excursion takes us to Tatton Park, one of the UK’s most complete historic estates. It is home to a Tudor Old Hall, Neo-Classical mansion, 50 acres of landscaped gardens, a rare-breed farm and 1,000 acres of deer park. Their speciality shops, restaurant, tea room, events and educational programmes combine to make Tatton one of the most popular family days out in the North West. DAY 5 – After breakfast we head south and make our way home.